Even a small PPC budget can go a long way in promoting your business since the success of the PPC or Pay-Per-Click campaign relies on the niche you are operating and the extent of competition existing there. Review your keywords regularly and keep an eye on changes happening – industry-wide, in your competitor’s strategies, in your product offerings, in your previous keyword research rounds etc. Wasted spend can be avoided by regularly analyzing your search term report, by adding irrelevant keywords in negative keywords list, by locating profitable bottom-of-funnel (BOFu) keywords, by expanding the reach through creating phrase match ad groups, by adding most ROI generating keywords in the Exact Match Ad Group, by obtaining higher Quality Score (Formula is Ad Rank = CPC bid * Quality Score) etc. To decide whether you should keep spending on AdWords or not, track the ROI resulted from the conversion. You can also make use of formula Revenue – (Manufacturing cost of the product + Marketing Spend) = Net Profit to calculate the exact ROI if you know the exact revenue collected. You should be able to answer 3 basic questions-which products/services are highly-popular, which products/services have high conversion rates, and which products/services can yield highest profit margin. If you are unable to trace highly popular product, start off with some combinations which can generate revenue. In the beginning, there is no need to promote everything your business has to offer. 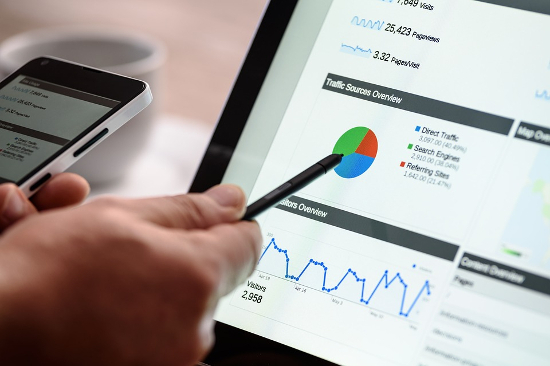 Google AdWords contains various campaign types, but low-budget PPC advertisers should focus on main 3 mediums for displaying paid advertisements. Most stereotypical examples of PPC is the placement of text ads in Google’s search engine pages through Search Network. The static images/animated banner ads are placed across Google’s Display network, and for e-commerce advertisers, Google Shopping displays Individual products in the search throughout the Shopping tab. You should target one ad network per campaign for better results. The types of the keyword match impact relevancy and impressions. Make use of the phrase and exact match while drafting your keywords lists in tightly themed ad groups. This will assist in increasing clickthrough rate. Your ad position will be high for a search query and you will pay less for the positioning of the ad if your quality score is high. Quality Score is used by Google to grade each keyword in your account on the basis of their relevancy. By properly structuring and segmenting campaigns, keywords, and ad groups into tightly-knitted themes, you can perfectly match keywords, ads, landing web pages etc. for the high-quality score. In the campaign settings, low-budget PPC advertisers can limit their target audience through the state, country, city, DMA, and even through zip-code wise. To get more granular and specific, Radius targeting is also present around particular addresses. Before activating any campaign, adjust target setting since by default new campaigns target the billing country of the advertiser. You can make use of Ads extension like Sitelinks (promote 4 addition links to internal web pages of your site), Call extensions (your phone number gets added directly in the ad text), and Location extensions (includes your physical address in your ad through linking to your Google My Business page) etc. to experience increase in engagement metrics (such as conversion and click through rates). For Smartphones visitors it is essential to have a mobile responsive website. You can adjust bids for top-notch impressions on mobile gadgets within your campaign by clicking Settings > Devices tab. You can even negatively set your mobile bid in case mobile users are not converting into customers. This step will let low budget PPC advertisers save money on searches happenings on tablets and various other devices. Try to match the keywords mentioned in ad copy with the corresponding ad group keywords for the high-quality score. Keep headline 1 and 2 up to 30 characters stating what you are selling, description line up to 80 characters stating your competitive advantage and call to action statement. Advertisers who set up conversion tracking can easily analyze the true return on their investment. Low budget PPC advertisers can make use of third-party web analytics tracking, Google Analytics goal, AdWords’ build in tracking, etc. The conversion tracking is essential to optimize your account along with ROI calculation. Valuable conversion data gathered from your campaign can help you make productive and better decisions. These valuable insights help in determining keywords bids, messaging for ad copy, the budget for the campaign, and boost overall business initiatives. Apart from the above-mentioned PPC best practices, the advertiser should invest their time and effort in creating Remarketing Campaigns. Remarketing campaigns show our ads to the people who have previously visited our website. This is a bonus strategy to drive prospective customers back to our website at a lower cost.